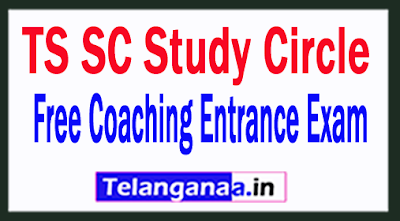 TS Study Circle, SCD Department is to organize a free coaching for 6 months basic course that includes banking, RRB and SSC in 8 main districts of the district and 2 districts of the new district through TS Study Circle for SC, ST, BC and minority candidates for approximately 100 candidates from the state of Telangana. Online applications will be invited by qualified candidates from SC, ST, OBC and Minorities in the districts Telangana 31 to be admitted to the program of free training in Basic T. S. Study Circle, Hyderabad for the academic year 2019-20. Development Department of the planned castes, the entrance examination TS study circle for admission to the coaching program to SC, ST, OBC and minority candidates for competitive examinations namely. Government Services, Banking Services, RRB, SSC, TSPSC, TSLPRB, Group Services l and II and other central services in TS Study Circle, Warangal, Karimanagar, Mahabubnagar, Nizamabad for the year 2019-20. The training program lasts 6 months and is a complete residential program. 2. The applicant may not be employed or follow any other course in any educational institution during 2018-18, as this is a full-time residential course. 3. Applicants should not have resorted to similar government-sponsored training. in another part. 4. Applicants must have completed their graduation courses. 5. Applicants must also be eligible for standards such as age, etc. prescribed by organizations such as UPSC / TSPSC or Banking Services, etc. 1. Admission is found through an entrance examination of the target questionnaire according to the General Studies Program of Government Services. I confirm that the above facts are true and correct, and I will lose the application if the information provided is incorrect. The place of the entrance examination is mentioned in the ticket of the room, which is loaded one week before the entrance test on the website. The entrance test takes place in Hyderabad and Warangal.